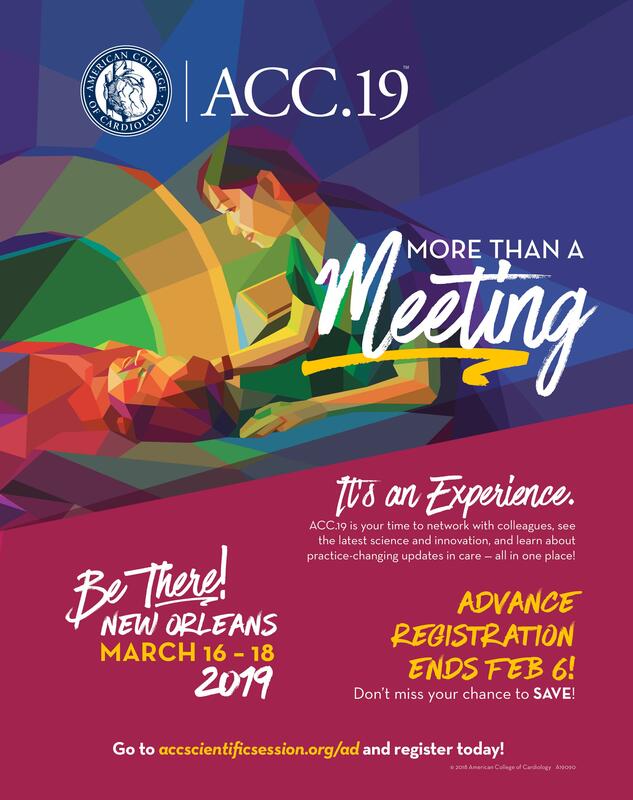 ACC.19: It’s More Than a Meeting — It’s an Experience! Join the American College of Cardiology in New Orleans — Saturday, March 16 through Monday, March 18 — for the 68th Annual Scientific Session & Expo. Advance Registration ends Feb. 6! Register now to SAVE!